ABB's Measurement Products' business announced that its laboratory in Germany has received accreditation for independent testing and calibration of gas analyzers. Accreditation was awarded by the German Accreditation Service (DAkkS) in Berlin/Braunschweig. The laboratory in Frankfurt Praunheim has the capability to check analyzers of all manufacturers for compliance with DIN EN ISO/IEC 17025. Calibration will also be possible. 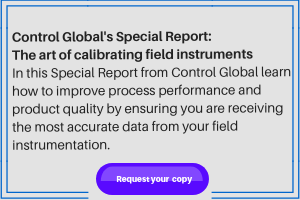 The standard ISO/IEC 17025 ensures international standardization for the analyzer's measurement system, providing comparison of devices from all manufacturers at home and abroad. The readings are traceable to SI valid values and the test reports and calibration certificates are internationally recognized. The ABB lab is now listed by ILAC (International Laboratory Accreditation Cooperation). The lab can test all available gas analyzers on the market that are based on spectroscopic, paramagnetism, and thermal conductivity measurement methods. The lab can also calibrate the analyzers and provide a calibration certificate. Analysis modules or devices that undergo repairs or experience prolonged operation can be tested to determine their suitability to return to operation. The lab can confirm the original specifications with the corresponding measurement uncertainties, and provide certificates of compliance. The lab can also check the calibration of these devices and adjust them if necessary. The end user can compare the performance of tested devices from different manufacturers. Operators of these analyzers can have access to international markets.